“In our second game of the season, we still did a lot of things to beat ourselves. You have to take your hat off to Coach Shamburger. The dominated the line of scrimmage from the get go, and it took us a while to respond. We have to re-commit ourselves to raising our level of physicality or it isn’t going to be good in this region.” B.C. Rain Coach Tellis Stone after his Red Raider squad lost to Leflore 22-10. “Turnovers. We’ve preached it to our kids all year. You can’t win in 7A, Region 1 by committing four turnovers in a game. Our defense had to play too many snaps. Our offense couldn’t get in sync after our quarterback went out. It was a tough night.” – Baker coach Danny Smith after his Hornet team lost to Theodore. “Those kids at St. James fought their tails off. We’ve got to get back to business. 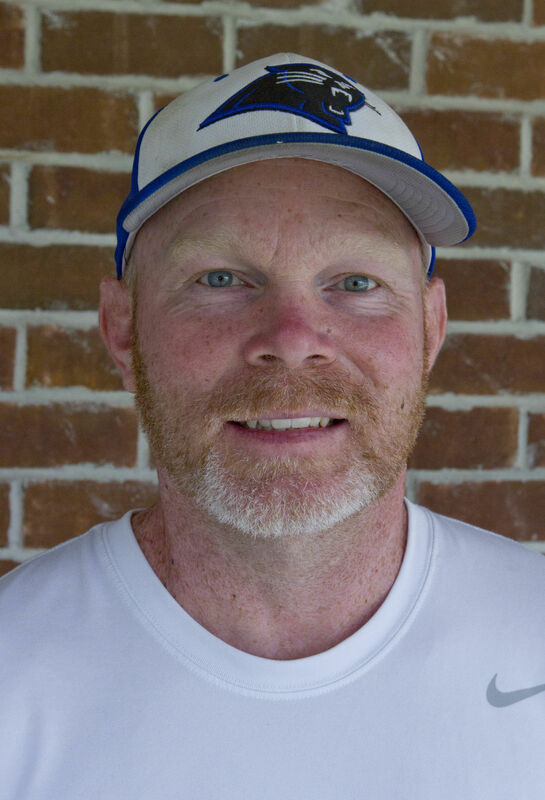 We have another good opponent next week, and we’ve got to prepare for them.” Montgomery Catholic Coach Aubrey Blackwell after his biggest win at Catholic, a 7-6 victory over St. James. “We did not do a very good job of controlling our emotions at times. We practice and preach that we are going to be men of character and integrity. The win is great and I’m really proud of that, but I’m a little more concerned about the way we handled a couple situations.” Bo Culver, Deshler coach after a scuffle led to ejections for both teams during a 20-7 victory over Central. “We wanted to come out and make a statement in this game. 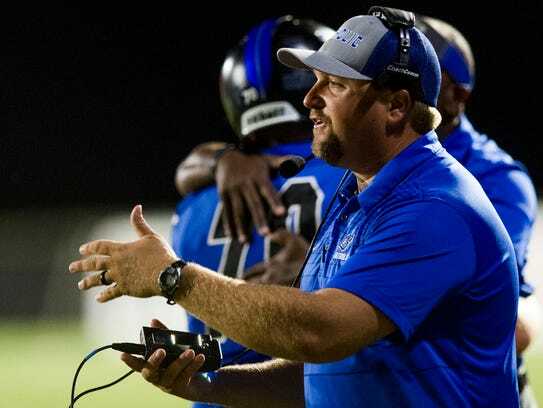 It’s our first region game of the year and we knew how big it was.” – American Christian Academy coach Chris Smelley after his team beat top ten ranked Montevallo 51-6. “Everybody appreciates this moment. It shows the guys they are competing with just about anybody in 1A and 2A in the area.” Cherokee Coach Lymos McDonald after his team’s 42-7 victory over Phillips gave his squad their first 3-0 start since 1997. “The worst part of that play was it was my son they threw over. I was sick and I was mad, but then I saw the official signal him down and they were out of timeouts. I went from feeling sick to feeling great.” Mars Hill Coach Darrell Higgins, who thought his team had lost as he watched a Red Bay receiver catch a pass and fall toward the end zone as the final seconds ticked off the clock Friday night. But the Red Bay receiver landed one foot short of the goal line and the Tigers were not able to get off another play as Mars Hill escaped with a 26-24 victory. “ I think we listened to outside of the locker room too much in that first half. We didn’t play with any passion, had no edge to us and they did. We got ourselves into a mess, but it is better to learn from a win than a loss.” Geneva Coach Les Sanders after his Panthers beat Houston Academy 32-18. “Hats off to Sparkman. They came out ready to play and did a great job. They’ve got a lot of weapons on the field. They did a great job and controlled the ballgame. Hats off to them.” – Buckhorn coach Keith Henderson after losing 36-10 to Sparkman. “They’re kind of similar to us. They run the ball downhill and play good defense. I figured as the game wore down, we could run the ball on them. And then we did a good job containing their running game.” – Sparkman coach Laron White after the 36-10 victory over Buckhorn. “Tonight could not have been a more crazy atmosphere and this is what Friday nights are all about in high school football. I can’t say enough about our defense and how they came up big all night, especially at the end getting sacks while we dropped eight into coverage. I just couldn’t be more proud of these guys.” — Grissom head coach Chip English after snapping a 7 game losing streak to Huntsville with a 21-9 victory.